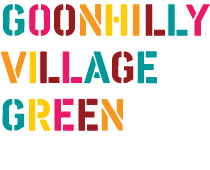 Goonhilly Village Green Artist Oliver Raymond-Barker gives us an insight into his commission. Oliver will be creating a new camera obscura that will be temporarily situated on the Downs for The Gathering. This is a small structure that you can enter into and will allow you to rediscover the landscape through the distortion of multiple lenses. To find Oliver’s work follow the path south from either the Village Green or the Dry Tree Standing Stone. I’ve really enjoyed exploring Goonhilly over the last couple of months – through first hand visits and documents in the artists info. folder such as the Archaeological Survey. It is amazing the depth of information that exists upon the site – the challenge has been choosing which elements to try and incorporate into my final work, at first I wanted everything to be in there! I soon realised this was beyond the scale of the project and that I needed to simplify my aims. After a brief dalliance with the idea of making an upside down boat-shaped camera obscura (inspired by the ghostly Lugger of Croft Pascoe pool) I settled on another angle. I kept returning to the idea of the site as conduit. It seemed to fit in so many ways; the geology as a conduit for deep time, the barrows as conduit to other realms, RAF Drytree as a conduit for communications, the antennae as conduit for information. This word has become a key touchstone for me. within built spaces. As an artist whose key interest is the alchemical properties of light this research was somewhat of a revelation and has been of particular inspiration to the commission. In terms of the actual build I’m currently working with Cornwall Fabrication to realise a simple steel structure that can then be covered with a canopy to form a light-tight structure. The rest of the camera will be built from a combination of materials both new and salvaged – canvas, fabric, stone, timber and possibly water! The dark interior of the camera will make use of multiple lenses and projection surfaces to create the final visual installation. Oliver Raymond-Barker will be hosting the A Camera Obscura Workshop on Saturday 27 April as part of the Goonhilly Village Green Community Programme. The workshop will offer a theoretical introduction to the camera obscura and lens-based practices, whilst also providing the opportunity to build and experience being inside a projection device. This year, Goonhilly Village Green have commissioned eight south west based artists to create new artworks that uncover the many layers of the Downs. These new artworks will be unveiled on 18th May at The Gathering, a one day celebration of ideas and information coming together in a free fun day for all the family.